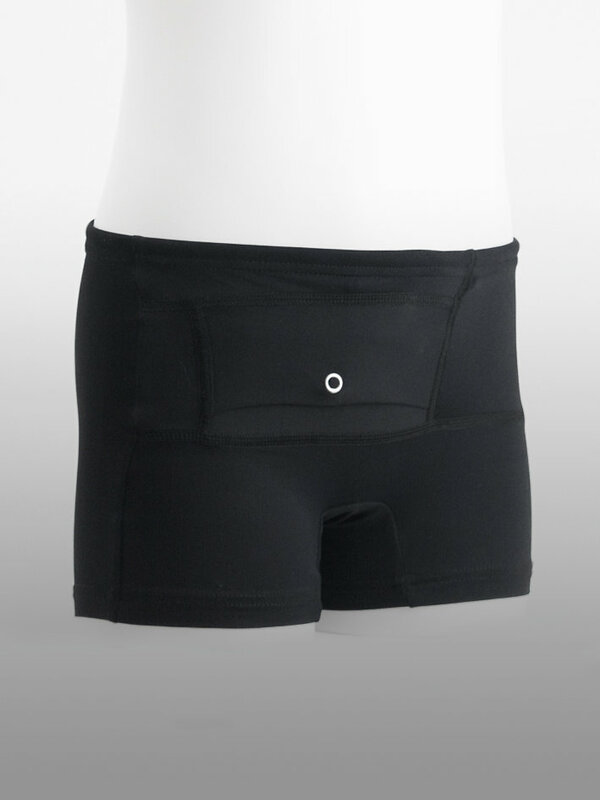 Kids Swim Shorts- with an integrated pocket for insulin pump. Swim shorts for kids. A sewn-in elastic waist (Width = 15mm (0,5 inches)). Band to tie in waist. Pocket: One integrated pocket placed outside on the right side, which opens and closes with a snap fastener. Pocket model: Boxi. The pocket has an opening from inside. The tubing can easily be placed on the inside of the garment. Pocket size: Length = 125mm (4,9 inches), Width = 60mm (2,4 inches), Depth = 30mm (1,2 inches).